Ever since I saw the In-Win 904 I knew I had to water cool it. 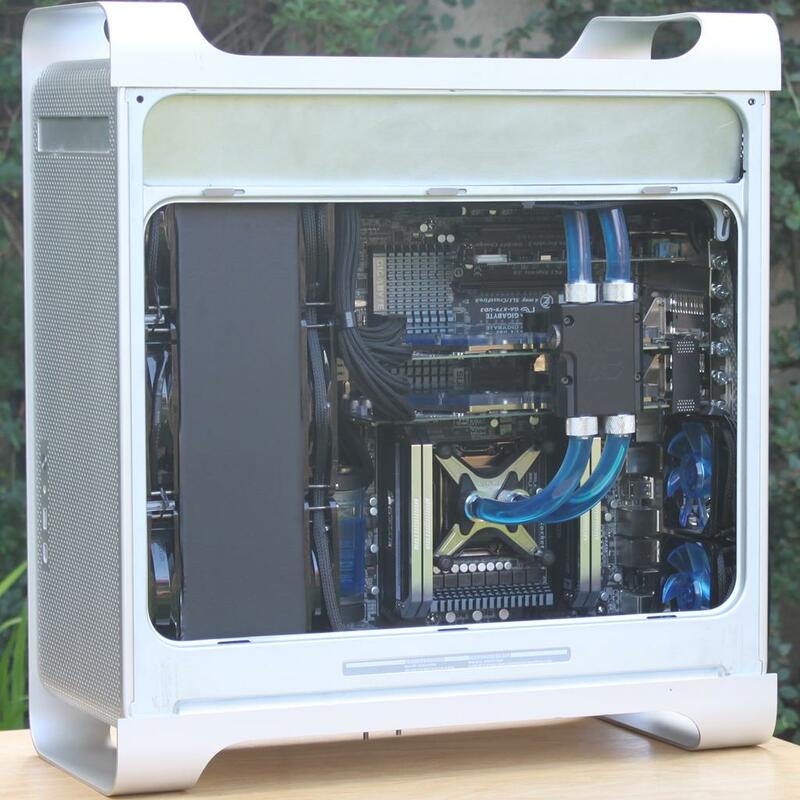 The aluminium shell and glass sides make it the nicest looking PC case I've ever seen, and the complete lack of any air flow makes it quite a project. 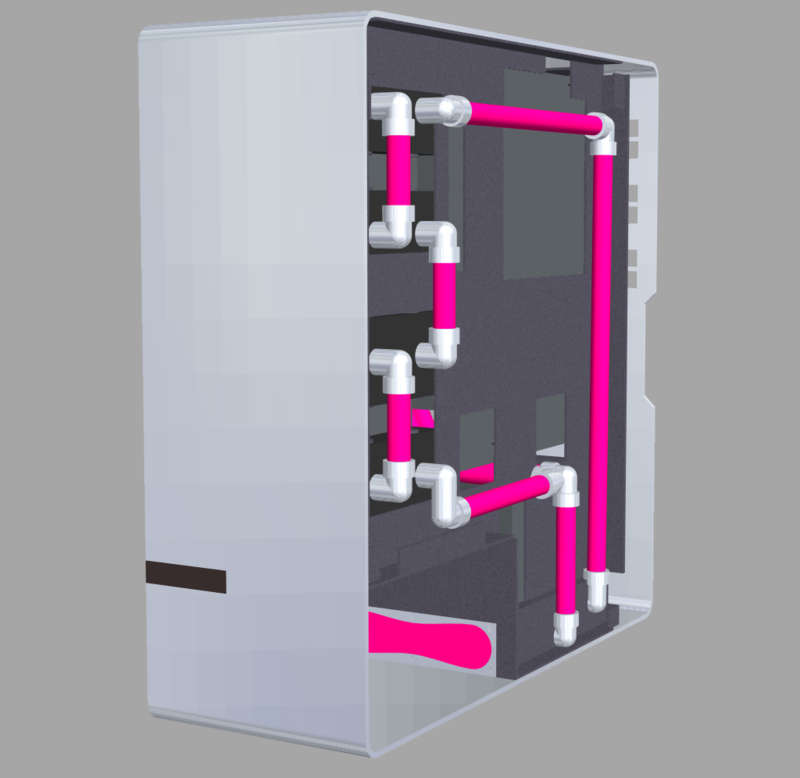 I'm still not entirely sure how I'll be watercooling it, but I do have some ideas floating around. 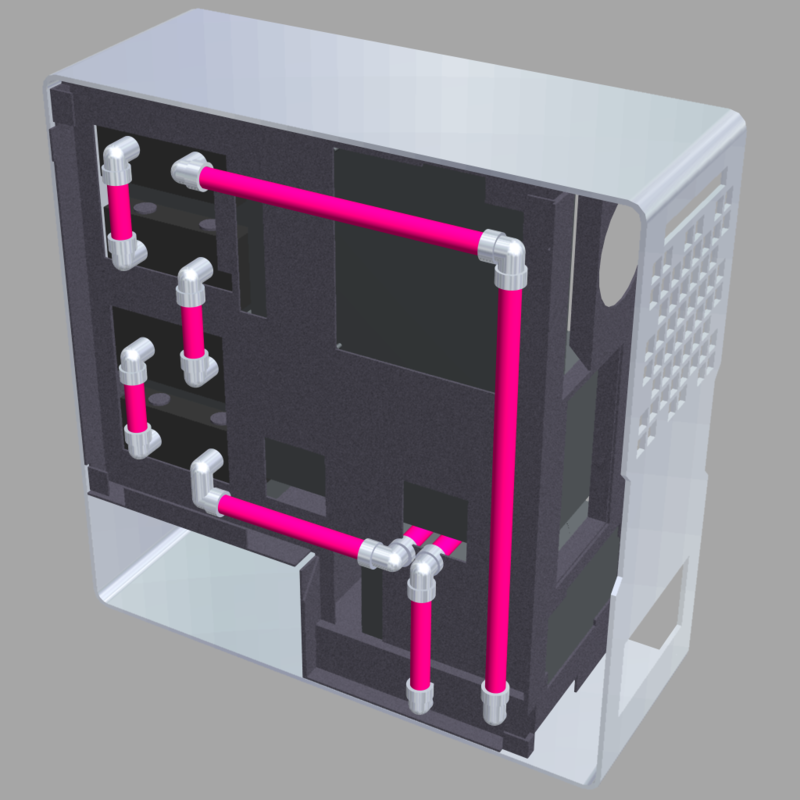 Once I've finished 3D modelling the case, I'll have more of an idea what will and what wont fit. I should probably stress that I'm not going for ultra low temps with this build. Hell, I'll be happy if the whole thing doesn't melt into a sticky puddle. Never seen that In-Win case, but it does look awesome It'll be good to see a watercooled build in a different case than what you usually see. I don't think I've ever seen two graphics cards and a CPU all watercooled in parallel before, but the tubing does look insanely neat, and simplistic. I'm not a fan of large cases - they always look too empty - so that pretty much rules out most cases built with watercooling in mind. Plus it's always fun to try something new with no instructions or guides etc. 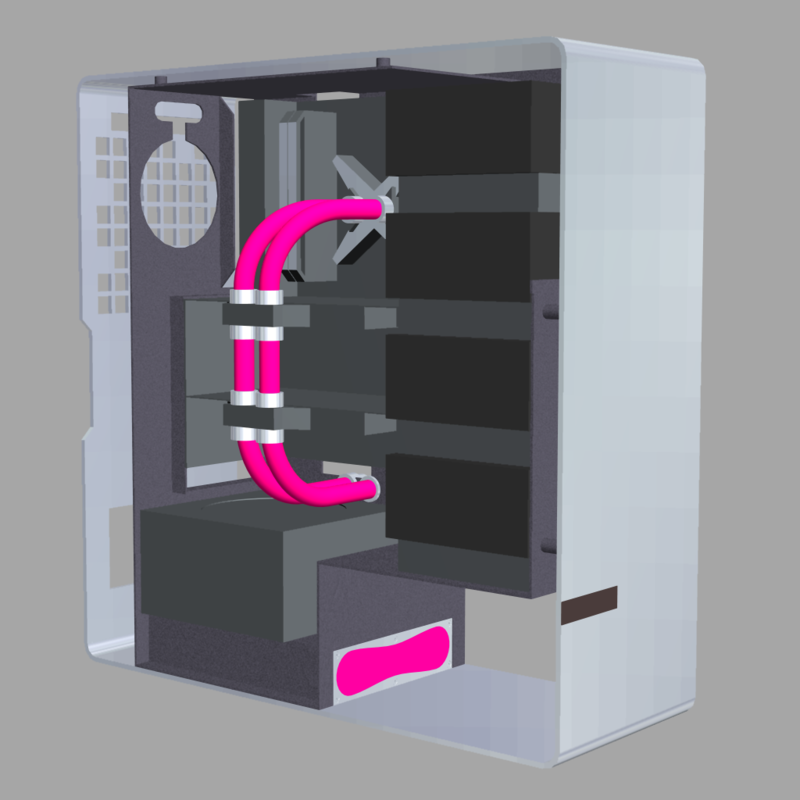 Same thing with the loop; I wanted to try something different and it looks far cleaner IMO. It works pretty well too. Definitely keeping it in my new build. Oh, this looks interesting, count me in! but I'll be damned if it doesn't look might tidy. I'll be keeping the parallel config for this new build for that very reason. It's about time for an update I reckon! I haven't really got anywhere in terms of modding/building, but the planning is pretty much complete. The case itself is great to work with. The external aluminium frame detaches by a dozen or so screws, and then the internals have been stamped out of a large sheet of steel and folded into place. The only major change will be removing the HDD bays, and then I'll have to cut some holes for the tubing and cables - and possible make some blanking plates to hide some precut holes. Now onto the main update - the plan! I've spent quite some time measuring everything and testing different layouts to find out what fits - and I'm not exaggerating here when I say that everything will fit exactly. 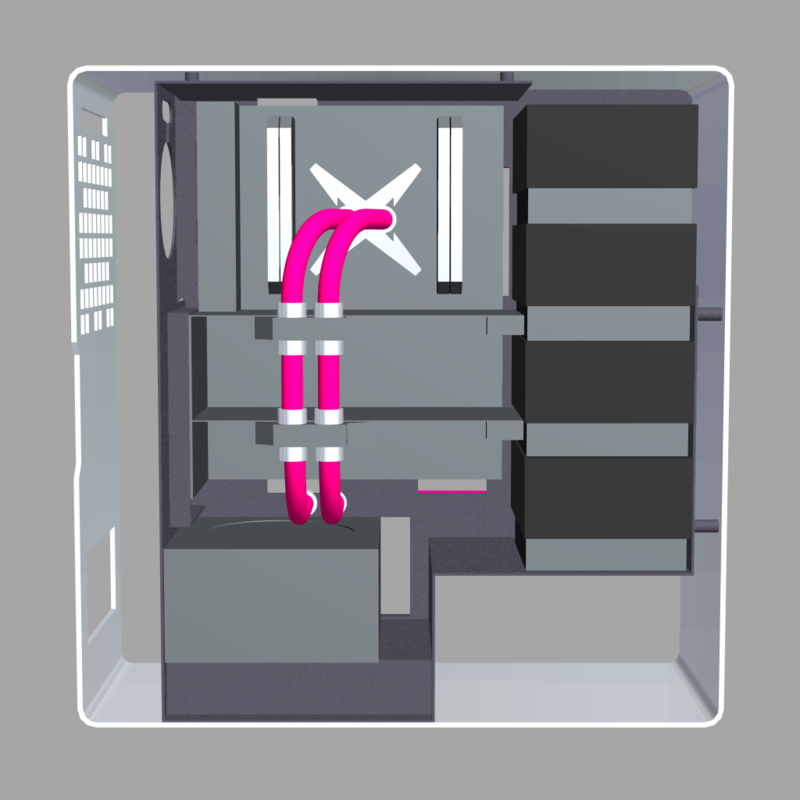 There's not a millimetre of space left over in any direction around the radiators. 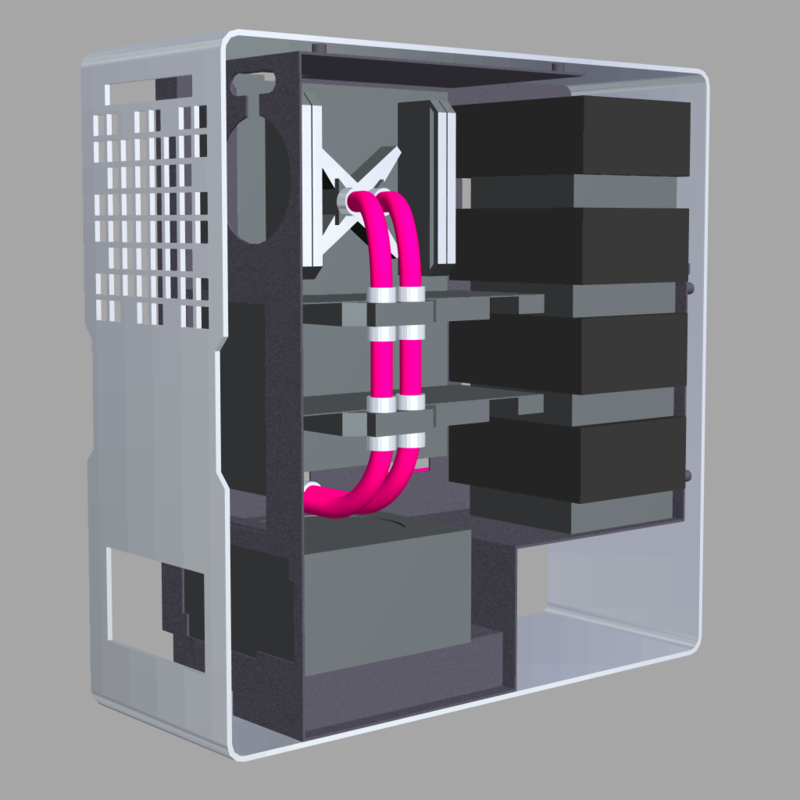 The rads and fittings will be touching the glass doors, as well as the front of the case. The fans between the rads will be touching the graphics cards. There is literally no room left over. The colour scheme, if you hadn't noticed, is monochrome and pink. Not everyone's cup of tea, but I like it. 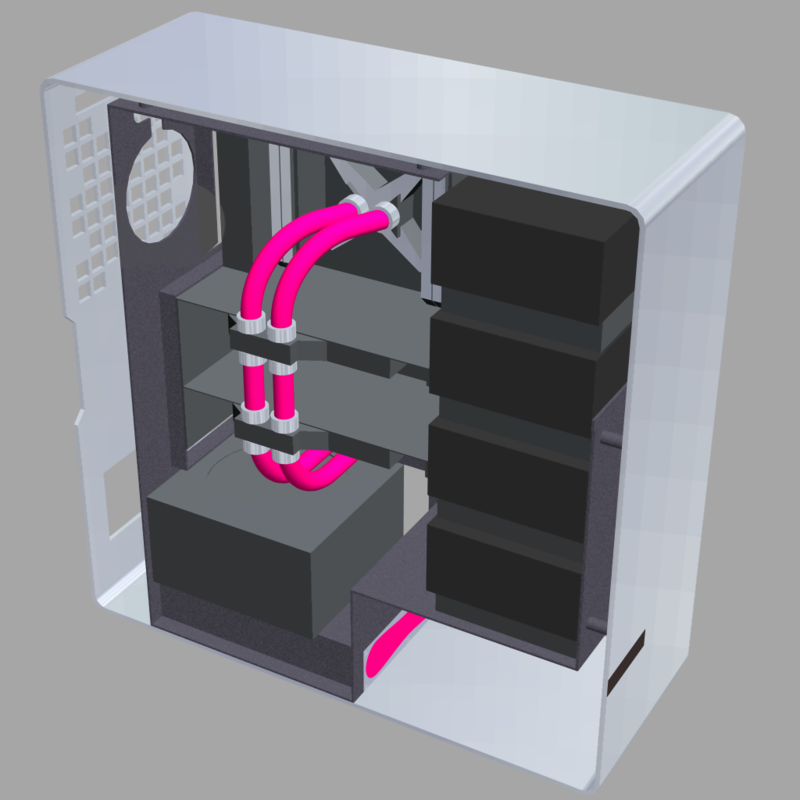 The coolant and the cables will be bright pink, everything else will be different shades of grey. 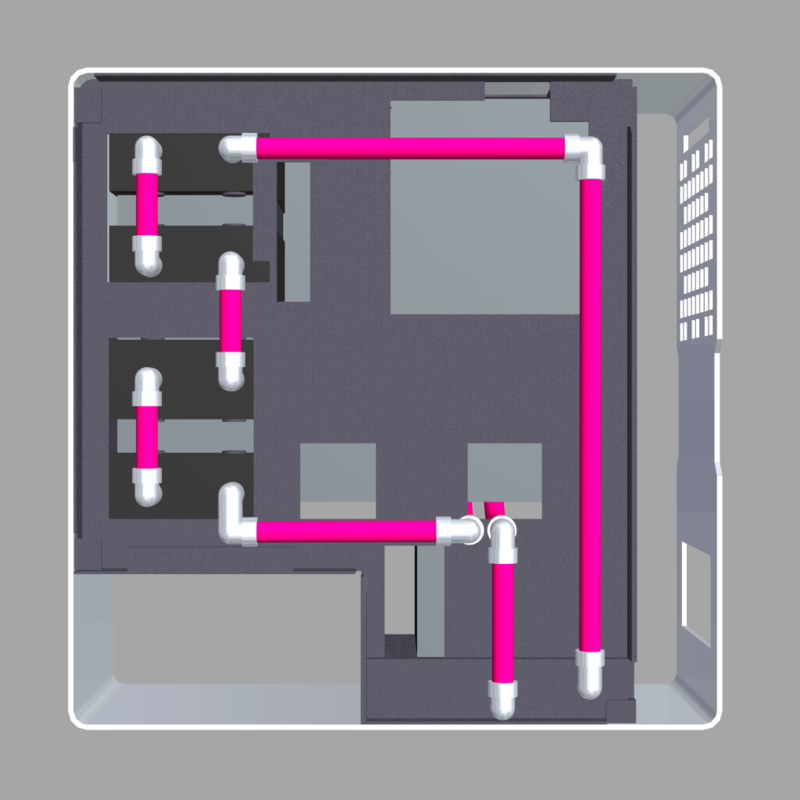 I think I'm gonna go with acrylic for the tubing due to all of the straight lines and only needing to bend 4 pieces - two of which might prove to be a bit difficult, but I think I'll give it a go.